It is now officially winter and the season for cold weather and snow! Here are some helpful tips regarding school closing. During the week, Upper Dublin Christian Nursery School (UDCNS) will generally follow the closing and delayed opening policy of the Upper Dublin School District (udsd.org). 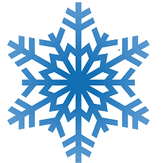 If UDSD schools are delayed in the morning, UDCNS will open with a one hour delay (morning classes begin at 10:00am instead of 9:00am, and end at 12:00pm). UDCNS will notify families by email of a late arrival by no later than 8:00am. Afternoon programs and classes will proceed as scheduled. If UDCNS decides that students need to be dismissed early, parents will be notified by email and phone. UDCNS will notify families of a late arrival no later than 8 am. A late arrival will be for 1 hour and all morning classes will begin at 10 am and end at 12 pm. Afternoon programs and classes will proceed as scheduled. UDCNS will notify KYW of the late arrival and send an email via Mail Chimp. Check the KYW 1060.com website.You can register for text message about our school. FACEBOOK: https://www.facebook.com/UDchristiannurseryschool. Like us and check for updates. Check email via Mail Chimp sent from the Director.